Cutting ties. Calling out behaviors. Searching for truth. Praying against collateral damage. I've been struggling with feeling incredibly selfishness for speaking out about many things recently. I have sought wise counsel and tried to approach things in an upright and factual way, as to not cloud my story with exaggerations or other perspectives. As you know, telling a story can leave us quite vulnerable. And stories have more than one character. In telling my story, I have to consistently find a balance between telling my story (not speaking for anyone else) while seeking truth in the most respectful and credible way that I can. 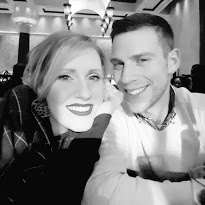 I've been anxious, and weepy, and searching for approval because deep down, I feel as though posting potentially harmful things is selfish, and cruel, and unnecessary. These terms aren't unfamiliar to me. I have had to constantly remind myself that honesty is not wrong. My truth is not malicious. And facts have a great power to heal (everyone involved). Speaking out and giving things fair labels is appropriate. Abuse is abuse. And, if I don't fill in the blanks, other people will, like they always have. Assumptions are powerful. Words like, "reconciliation is God's deepest will for families" and "burning bridges is a bad idea" are actually terribly confusing things to hear as a victim. They can knock us back into a place of deep unrest and make us feel falsely guilty for seeking change. While these concepts mostly come from the mouths of wonderfully kind and god-seeking people, it doesn't always make these words ultimate truth or particularly helpful. The thing about a victims is ... we have probably tried (for years) to make peace in every other way imaginable. We have probably tried tirelessly to fix things, to keep bridges from burning, and to protect the people we love, even when those people unrepentant-ly hurt us. While concepts like reconciliation, honoring covenants (commitments and promises), staying loyal to family, and being respectful to ones parents are completely biblical and completely true, situations and scenarios can also change the way in which we approach these concepts. As Christians, our first response in all relationships should be to mend. We desire truth. 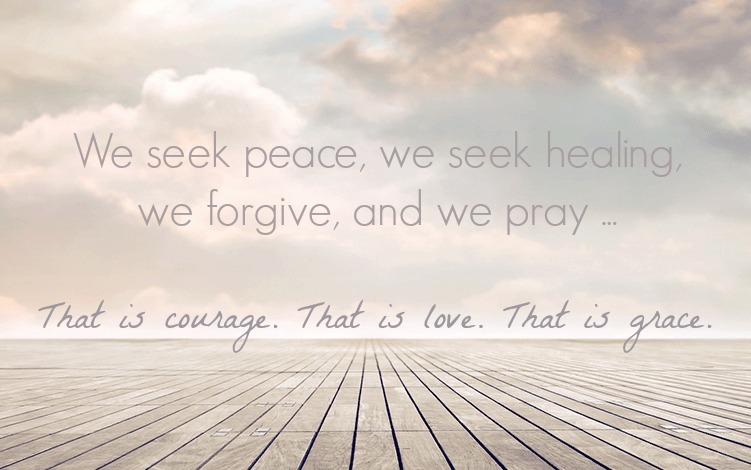 We seek peace, we seek healing, we forgive, and we pray for those that "persecute us". We are called to be the stronger, more gracious, more loyal people in our communities. When we are "slapped" [attacked], we offer the other cheek instead of returning the blow. That is what God desires for us and requires from us. That is courage. That is love. 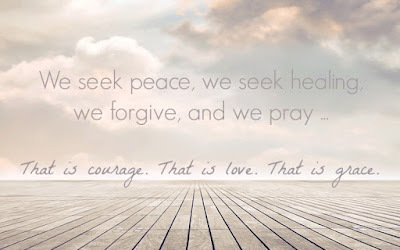 That is grace. However, sometimes our situations don't fit into a neat little box (often times they don't). And we are left trying to figure out where to draw our lines and create our boundaries for the sake of our own spiritual life and for our own righteousness. Speaking solely from my perspective and from my experience (not speaking from God's mouth, or as a scholar, or teacher) ... I believe that there is a season for healing (like there are seasons for all other things). I believe that sometimes, the most righteous and loving thing we can do is tell the truth. Sometimes covering sins (our own and the sins of others) with grace can actually be detrimental to growth. This is true across the board. Abuse happens behind the scenes. 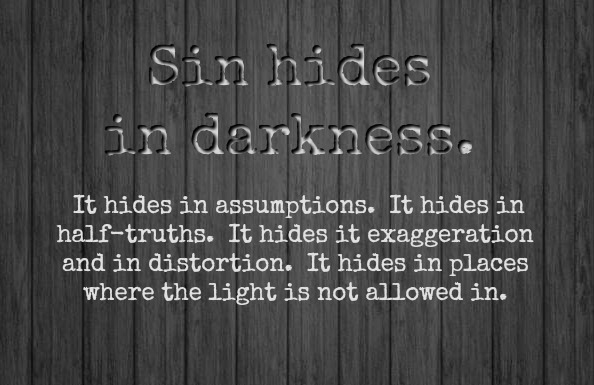 Sin hides in darkness. It hides in assumptions. It hides in half-truths. It hides in exaggeration and distortion. It hides in places where the light is not allowed in. 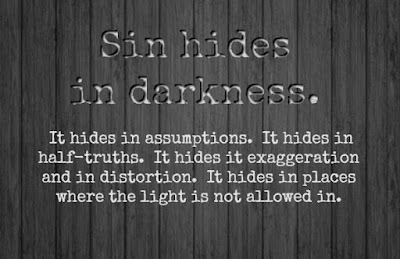 Sin can hide for generations upon generations without ever being brought to light and dealt with appropriately. Typically the (now) abusers were once the abused and their abusers were likely abused a generation before that. Without truth, without transparency, without righteous anger, self-confrontation, and perhaps even public confrontation, these offenses will remain hidden and continue to poison beneath the facades of "family", "loyalty", "appropriateness", and "good Christian behavior". Courage is believing. Courage is telling the truth. Willingness to speak the truth is brave. Believing that that truth can heal (despite fallout and repercussions) is perhaps the bravest of all. I get really anxious sometimes. And then I get angry. When I was a senior in high school, I had a bad habit of waking up late. Really late. The bus would be purring outside while I threw on some clothes, grabbed my gear, and went running down the stairs and out the front door. I could have probably won some sort of Guinness record with my morning pace. When my step-mom would come upstairs later, she always noticed that my bed was made. I may have been lethargic and late, but somehow still "clean". Why? Because that habit was so ingrained in me as a child, it was now (as a teenager) a natural response to years of knowing that the consequence of a messy bed was after-school misery at my mom's house. Disorder in my house as a child meant screaming, grounding, guilt trips, and the throwing of all kinds of stuff (folded and orderly or not) in a pile in the middle of my floor. Often times I would be greeted with " you didn't do what I asked..." or "what did I tell you..." instead of a "how was your day?" I dreaded coming home much of the time. To this day, I still feel terribly uneasy when things aren't orderly (especially in my own home). I struggle to leave my house without tidying up and cleaning off surfaces. I'm almost incapable of leaving without straightening the pillows on the couch, folding the throw blankets and putting them in their designated place. I'm always anxious leaving and almost always anxious coming home. I still get the same breathless jitters when I come back to a disorderly house that I did when I was young. These days, my home is my escape and my safe place, where I can control the majority of what goes on, or so I'd like to think. I want our home to be a safe place for my husband and our children as well. Unfortunately, I'm learning that my most common response to anxiety is anger. And that's not okay. Frustration, resentment, impatience, call it what you will. I consistently find myself getting aggravated when things feel out of control. I'm annoyed when the counter top becomes a crumb collector and the floor is covered in scrambled eggs and half squished green beans. I lose it when my kids are under my feet while I'm cleaning or working out. I end up yelling at bedtime because tired boys just. won't. rest. I fuss and fret because I'd like to be able to finish one simple thing. "I will. have. order." is the wailing of my soul and my mouth. The problem is, that makes me the villain, and I really don't want to be that. 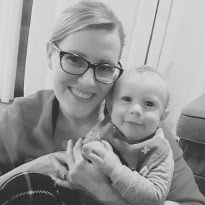 While I can justify discipline and I can justify teaching my children with structure and responsibility, I know that the root of my problem is anxiety and anger. My home might be pretty and tidy, but my spirit ... not so much. I often find myself thinking, I hope someone didn't just hear that. I'm ashamed and sincerely convicted about my mouth and my attitude. I want to be a woman of integrity above all. I need to be the same person when someone is watching as I am when I'm alone. I have to talk myself down off of my angry ledge regularly. I have to be my own advocate when those anxious feelings start flooding in. I push the waters back by breathing and then ... I put myself back into my 8 year old shoes for a moment. I remind myself about the things I wanted and needed when I was little. I remind myself that those legos that I've been stepping on are proof that my kids are being kids. I tell myself that the cluttered counters and dirty floors mean that my family is being fed. 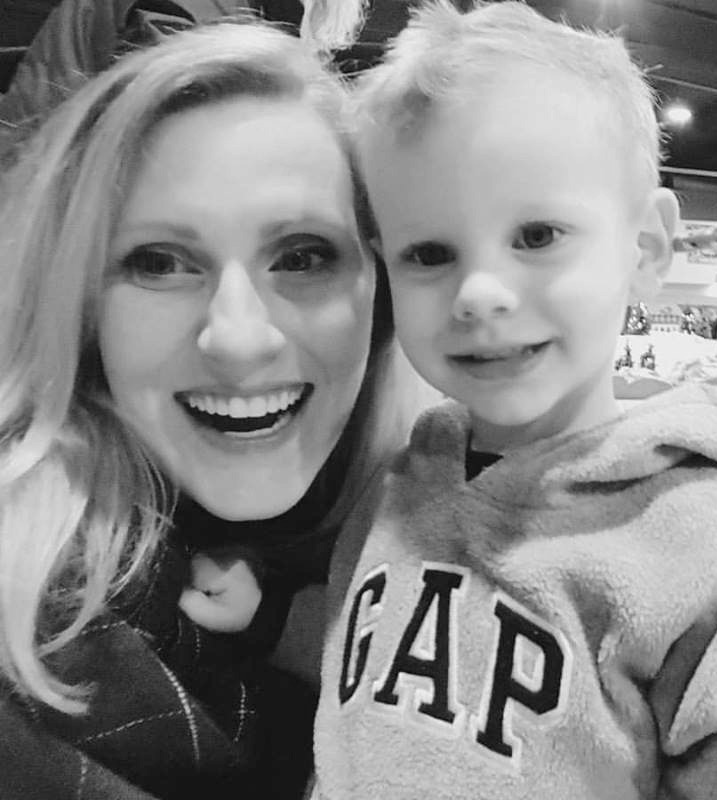 I tell myself that a gracious Mama is a good Mama and that grace will have to cover the mess. 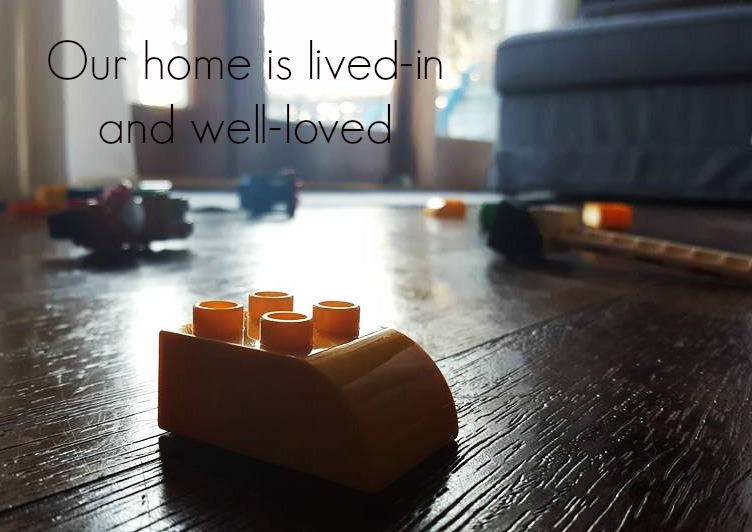 I tell myself that our home is lived in and well-loved. Home is all about the heart after all. I still clean and I still quibble but I am actively trying to cover each day with grace. Grace upon grace upon grace. Grace when I fail and grace when things don't go my way. I know that my own problems with control, anxiety, and anger have a definite impact on my family. 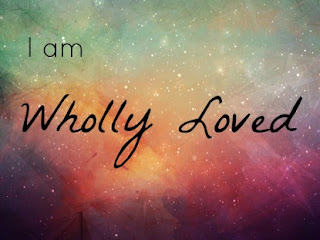 I am living proof of this. I don't want to be the kind of mother that my children fear. I don't want my home to be tense. I don't want these walls to be filled with shouting and disapproval. While I desperately want our house to be clean and orderly, my top priority is to help create a safe place for my family. A peaceful home requires sacrifice on my part. I have to deny my impulses and knee-jerk responses. I have to ignore those nagging feelings and focus on what really counts. I am certain that God is going to meet me where I am in this battle. I am taking it day by day and moment by moment.